With more than a decade of experience in both the Chicagoland and Vail, CO real estate markets, Joie DeGraff offers her clients a one-stop-shop for both buying and selling. With expertise in real estate sales, negotiations, customer service and senior-level decision-making, Joie focuses on residential sales. She has worked with a variety of clients who are ready to move to the city, stay in the suburbs, as well as upgrade or downsize their homes. Joie joined Chicago's premier real estate brokerage firm, @properties, as part of WexlerGault Group, which has produced more than $500 million in business. Buying a home can be both exhilarating and stressful, but when you hire Joie to be your broker, she takes the guesswork out of the equation for you. 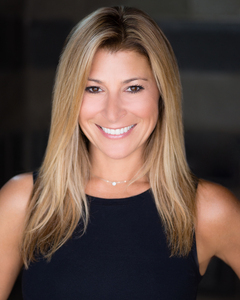 Joie offers her clients a full-service package as she manages the entire real estate transaction from pricing to open houses, to negotiating and closing. As a seller's agent, Joie can help with staging, decluttering personal items, and also advise on potential repairs to give the home more appeal to potential buyers. As a buyer's agent, Joie offers clients her neighborhood expertise, negotiations skills as well as developing design concepts. Joie lives in heart of Lincoln Park with her family which includes her two daughters and Bernese Mountain dog, Teddi. When she is not busy working in real estate, you can find her riding her bike along the lakefront, enjoying Chicago's cultural scene, amazing restaurants and the outdoors. "Joie is one of the most tenacious and dedicated brokers I know. I have used her personally to buy and sell my houses, with great results, and have been so pleased that I have also referred her to many friends and clients who have likewise been extremely satisfied with her dedication and hard work. I highly recommend Joie if you are looking to buy or sell a home."